I was recently asked to create an image for a new CSIRO development — a cactus-inspired membrane to coat fuel cells for potential use in electric vehicles. The researchers, based in Melbourne and Korea, wanted the image to feature both cacti and a car. 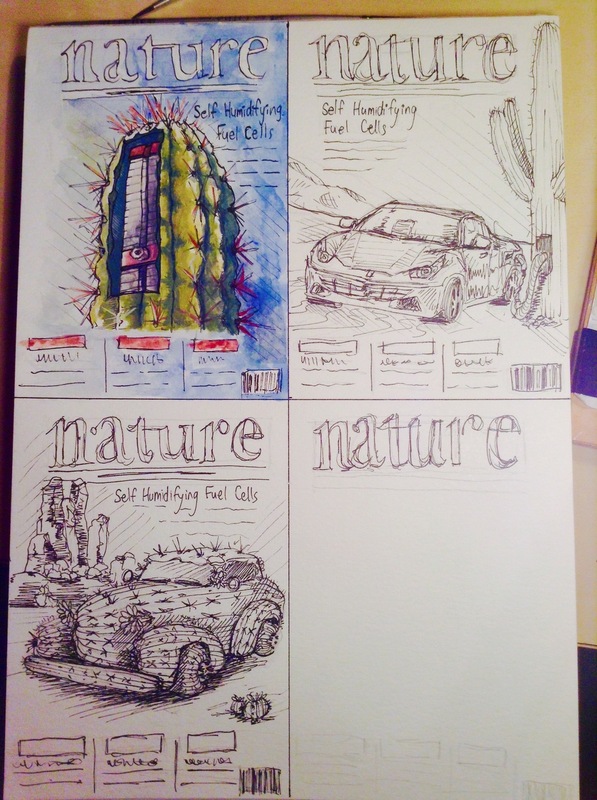 The team were most pleased with the image at the top right, the car filling up at a cactus bowser. I decided to use oil, since I hadn't painted with that for a while, and I thought it'd be more efficient — which indeed it was. Surprisingly the painting took just three or so sittings, a welcome change to my last few projects.